Our chimes choir is made up of 1st – 4th grade volunteer Sunday School children who enjoy playing and performing chimes. Most rehearsals are done during part of their Sunday School time and performances are on select Sundays throughout the church school year. 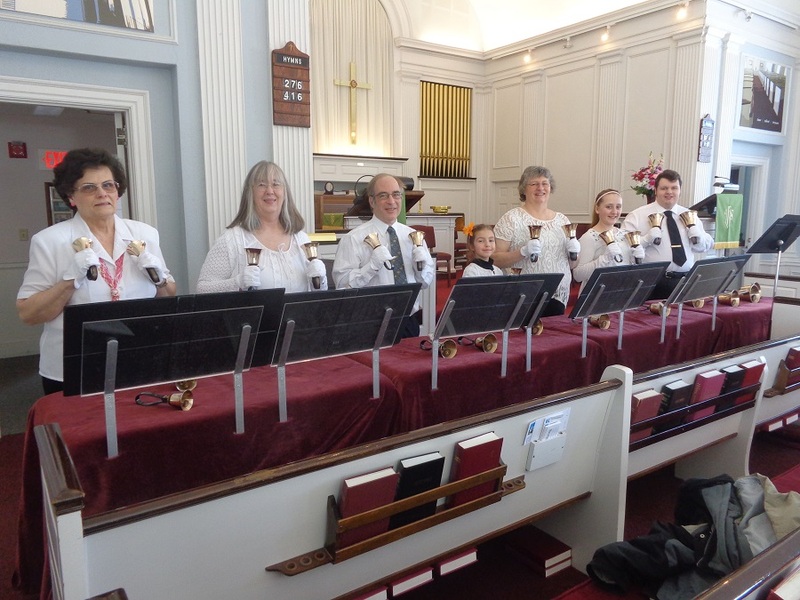 Our bell choir is typically plays on the last Sunday of each month and rehearsals are scheduled depending on the ringers’ availability. They have amazed the congregation with some very complex, difficult and beautiful pieces! Both the chimes and the bell choirs are led by Janet Sterritt and are always a pleasure to listen to!